Stay tuned for updates regarding parking after recent flooding. There are changes afoot at exquisite Hanalei Bay, previously named one of the best beaches in America by Dr. Beach. The bay still rocks with its sparkling blue clear water and spectacular mountain backdrop. Visitors flock to where The Descendants was filmed looking for the beachfront house in the movie. A new canopy has been placed over the pier thanks to a community effort spearheaded by the Rotary Club. A park extension near Black Pot Beach is in the works and a master plan is now due to be completed any time. Drive to the end of the road near the river and park close to the pier at Black Pot Beach with its iconic view. There also side street park if the lot is full. Walk between there and the middle beach where the crowds are far fewer. Look behind you and you may spot the house and hedge featured in The Descendants. As you look down the broad stretch of white sand you’ll see many people congregating close to the pavilion. There’s no need to be one of them. Enjoy your space and put down your towel. Tip: A lot of families hang out at Black Pot Beach and there is camping by permit on weekends. This is a good place to picnic and for the kids to have fun when they get tired of the beach. We don’t suggest actually swimming at Black Pot because it borders the Hanalei river and the water is usually murky. 2. Superb photo opportunities are had at the rebuilt pier. The amazing mountain backdrop makes this location the perfect spot. You’ll also get a chance to see kids (and adults) jump from the pier into the water. Sunset is most popular for photography at Hanalei Bay and you’ll often see informal beach weddings. 3. Surf can pick up between the pavilion and the second lifeguard station. Between Hanalei Pavilion and Pine Trees further down, the surf tends to pick up a bit and you need to watch for rip currents. Use caution depending on conditions. 4. Picnic tables, BBQ’s and restrooms at Wai`oli Beach (known here as Pine Trees) score high with us. This is close to the lifeguard station and is normally quieter than Black Pot beach near the pier. Even though you don’t have quite the mountain view, it’s still spectacular looking out to the vast ocean. 5. Kauai Snorkeling at Waikoko Beach. Located on the highway between mile markers 4 and 5, this area is great for snorkeling when calm. It has a protected reef and is shallow. 6. Brace yourself seriously for the restrooms – either just a bit, or a lot longer. Unfortunately, the best beach in the USA still has the worst restrooms you’ll find anywhere, especially those at Black Pot as well as those at the pavilion and at pine trees. Beat of Hawaii couldn’t be more disappointed in the County of Kauai for this deplorable situation. We brought friends there last week and even with our forewarning, they were utterly appalled by the situation. 7. Summer Activities at Hanalei Bay. Luau at Hanalei Bay Canoe Club. July 29, 2017. Includes food, hula, fire dancing, canoe rides and live music. Hanalei Swim Challenge. July 29, 2017. Includes a race course for kids and also the 1K and 3K event. Named one of America’s Top 100 Open Water Swims by the World Open Water Swimming Association. If you have anything new to share about Hanalei Bay Beach, please add your comments. And if you see us swimming at Hanalei be sure to yell, Beat of Hawaii! We’re regular long-distance swimmers each summer. You won’t be the first to see us there, and we’ll be glad to meet you. Suggest you search for Kauai wedding officiant. You’ll need someone to help you with this. Permitting and other rules definitely apply. My family of 4 (2 8 year olds- 9 at time of trip) are planning a trip in July of 2018. My husband and I have spent time in Oahu and Maui, and look forward to visiting another island. Our children have never been to Hawaii. We are traveling from New Jersey and would love to get a direct flight! I’m drawn to the Big Island, and my husband is partial to checking out Kauai. Perhaps considering what would be best for our children will bring us to a decision. Do you have any suggestions which island, overall would be better for children? We plan to spend about 10 days on one island, and break up the trip half at a resort and half at a rental house/condo. Please share any thoughts on rentals, as there are a lot out there! Thank you so much for any information that you share with us! Your help is appreciated. What you’re asking for isn’t what we do unfortunately. Having said that both are ideal for children, and you seriously can’t go wrong. In fact do plan another trip so that in time you can visit the Big Island and Kauai. Guidebooks such as the acclaimed Hawaii Revealed series should be of great help. Hello! Could you tell me what part of Hanalei beach is typically good for surfing in June/July? We are bringing our kids who are older teenagers,18 and 19, who would like to surf. We are looking at renting a vacation home in Hanalei and would like to be closer to the part of the beach used for surfing. I’ve been on quite a few travel blogs and am getting mixed information. Thank you so much for your help! Generally no surfing in summer at Hanalei. If there are un-seasonal waves, they’ll be in the area called Pinetrees, at the opposite end from the pier. Are the ocean be still on calm mode in the month of September and early part of October in Hanalei? and not stormy? Thanks. It changes every season so you can’t say for sure. Rougher conditions return to north shores anytime between September and November usually. In the “good old days” when I had a decent income, I owned a timeshare in Princeville for 3 weeks each year, 1985-1999, and never traded it because I loved the North Shore so much. My wife and I have only visited once since then, in 2006, due to cost, but anticipate eventually returning. I’ve been on your e-mail list for many years and always enjoy visiting your website, just to feel connected to my favorite place. I always used to love snorkeling at Tunnels, but somehow never heard of Waikoko Beach. I see from Google Maps satellite view that Waikoko is much smaller, but otherwise how does it compare to Tunnels for casual snorkeling on a calm sea day? We’ve never been to that beach which is just before Lumahai. If it was that good, likely we’d know about it. My girl and I are going to travel to Kauai in Mid-December and staying up in Princeville. Is there any boat tours going out of Hanalei Bay to see the beautiful mountains of the Napali Coast? We plan on going south to view other things such as Waimea Canyon, but I think there’s so much to do to include the boat tour. Also any other good tips such as the above article? Suggest you get a hold of the Kauai Revealed guidebook. Boat tours of our Hanalei in winter won’t happen since waves could be huge then on north shore. What about boat tours in the summer going out of Hanalei? I’ve only heard and been out of them from Port Allen. They never go the full way to Ke’e Beach which I would really love to see by boat let alone sail to Hanalei. Just google for boat tours from Hanalei. We don’t have any experience to recommend a company. Captain Sundown out of Hanalei…..HIGHLY RECOMMEND the 7hr Na Pali Snorkel Catamaran Cruise; one of the best activities we’ve done on our (5) trips to Kauai. 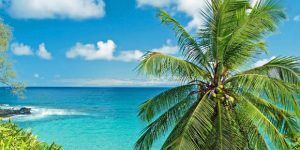 We are a group of 5 senior couples looking to visit Maui or Kahai early 2017 . Some are active seniors looking to hike, snorkel etc.We are also staying for one week and want to stay at a cost efficient condo. Any suggestions and recommendations regarding island choice for first timers and places to stay would be appreciated.By the way is February considered off season? If there are 10 people flying together, then you should qualify for a group rate. So contact multiple airlines that fly between your city and the islands to check that out. For what to do, and where to stay, we suggest the Hawaii Revealed series of print and online guidebooks. There’s one for each island and they are extremely helpful. If you want condos, Outrigger properties are great to work with. They have had great experience with them for 3 or 4 years now. 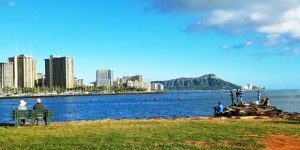 Aloha Lorraine: February is high season in Hawaii because many mainlanders are ready for a break from snow and cold. The end of February is also the peak of shake season when Humpbacks are abundant. 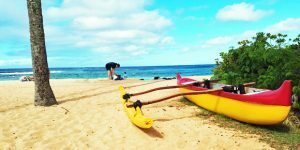 The slowest time of year for tourism in Hawaii is September, followed by fall and the period between mid April and the second or third week of June when school gets out. I do not believe that Maui has any condos that can legally sleep 10 since state law allows 2 people per bedroom plus 2 sleeping in the living room. You’ll likely want two condos. Many people would say that Kauai offers the most natural beauty of the Hawaiian islands, but Maui is more popular and arguably offers a greater variety of activities, such as bicycling down the dormant volcano Haleakala. The locals say “Maui No Ka Oi” which means “Maui is the best”. You really can’t go wrong visiting either island, they are both wonderful and they each deserve at least a week. 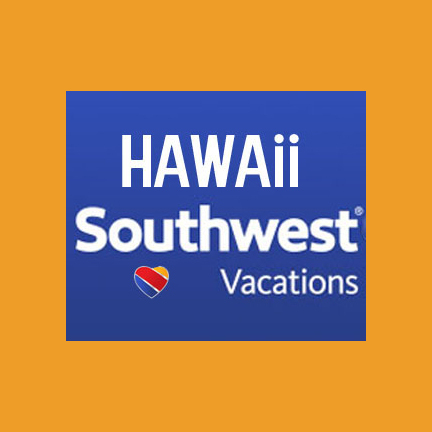 We leave for LIH from PHX on Jan 15, 2017 and return on Jan. 30,2017. I have booked the return trip to PHX using all my AA miles. 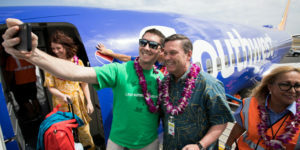 Right now Hawaiian Air is $400.00 per person one way to Kauai. I’m thinking I should book this now? ($800.00 total round trip cost for 2 is not that bad of a deal). I know that American Air fly’s direct, but my wife and I really like Hawaiian Air. thank you for your kind response………. Yes low $400’s. Might improve, but it might not. There is a disadvantage price-wise on this route when flying one way. Best round trip price is $676. Interesting about restrooms. I used to frown upon paying $ 1 to use a clean bathroom in Europe tended by a “dame pipi” (attendant) but years later, I realized that there was a need for it because selfish people often refuse to clean after themselves. Though Europe is worse than the US about cleanliness, there is definitively room for improvement. Concur. Bathroom in France are far better than this.